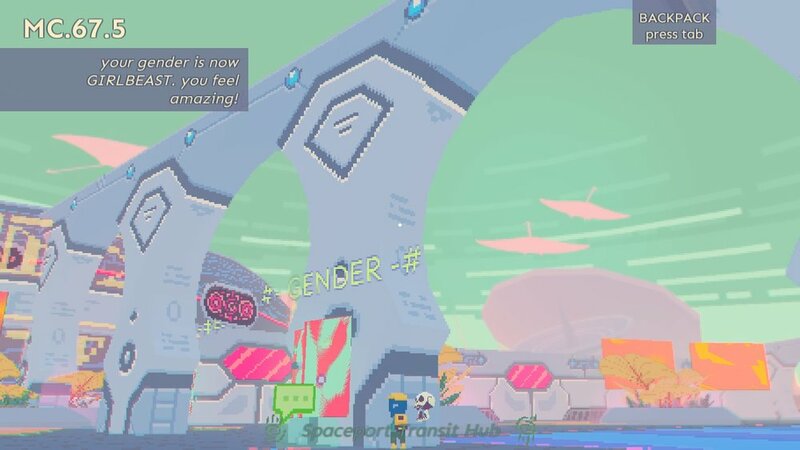 I think it’s a safe bet that anyone playing a game called Diaries of a Spaceport Janitor is not a newcomer to this medium. Someone who is just curious about what this youth-defiling and manchild-making pastime is all about would probably start with more popular titles such as WoW, Overwatch and GTA (or Firewatch, Life is Strange and Portal 2 if they had some stellar friend like me as a guide), taking the more eccentric games out there only after they’ve had a shot at the staples. So scram newcomers! Go learn the differences between Dota 2 and LoL before you read on! Alright, are the uninitiated ones gone already? Good, I’ll start the review. Since you can’t consume art in a vacuum, any new game you commit to will be taken on with a pile of mental baggage accrued over all prior gameplay. 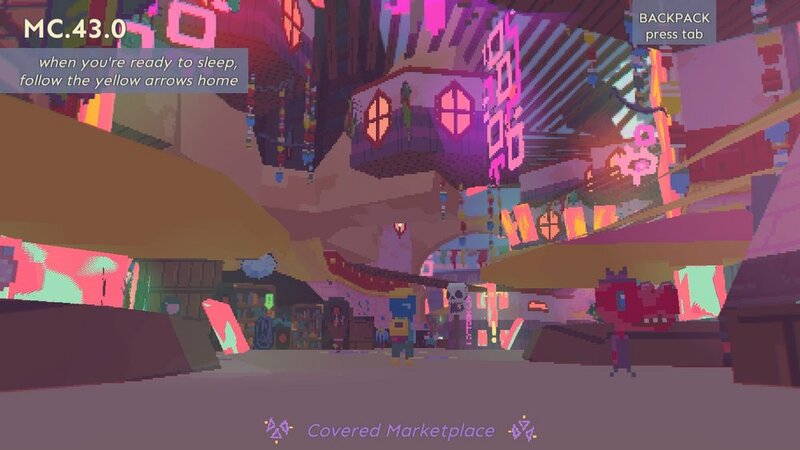 Diaries of A Spaceport Janitor explores this, it brings the preconceptions and invisible expectations we as gamers have of our obsessed-over art form and brings them to the surface, all the while being a fun and immersive game in and of itself. Your main task in it is, you guessed it – to pick up and incinerate trash. Besides every single piece of discarded garbage being whimsically named there’s nothing more to this, you clean the spaceport and you get paid. Now, going in with memories of how, in Skyrim, you had similarly started out as a simple, unglamorous prisoner, indistinguishable from other petty thieves and bland bandits, you’ll probably think this is a clever disguise and expect to be told about some forgotten ancestry that will set you on a breath-taking adventure to save the universe at any moment. For the first hour of Spaceport Janitor I thought so too, I thought I could foresee myself becoming the legendary hero the universe needed. Over the second hour I grew tired of waiting for the epic reveal and as I played further it slowly dawned on me that at no point did the game actually imply this would ever come to pass. 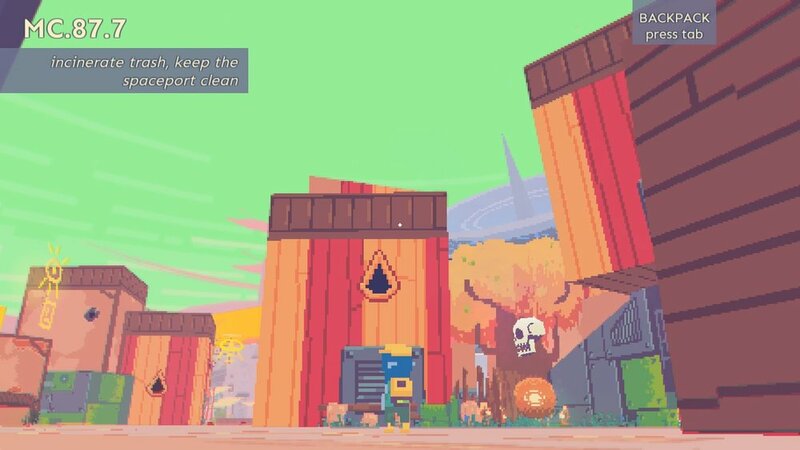 Even though it presents you with a sprawling city and a swarm of NPCs to interact with, in the end, all you’re really going to be doing is cleaning randomly-spawning trash. The second expectation this game plays on has to do with the items you can find. There are countless vendors all around the spaceport selling stuff from legendary-sounding weapons to things like scrap metal, wires and cloth. With a brain trained on similar RPGs in which ingredients imply a crafting system and weapons imply combat, you instinctively try and find ways to combine items and wield weapons. This again stops after a while as you remember the key idea of the game – you are a simple janitor and not some ingenious engineer-warrior-wizard, which means that all you can do with any item is to either incinerate or eat it, no matter how loud your inner gamer voice might be screaming to just equip the damn thing. Another gestalt gamers like me like to form when going into an open-world RPG is that you usually can tell whether some item is supposed to be more than just a decoration by the amount of effort the developers had seemingly put into making it and how much it’s valued by in-game vendors. Diaries requires you to only do two things every day – eat something and sleep. And boy do the people in this spaceport like to eat. At least half of the vendors sell technically edible things, all of which are very unique and priced all across the spectrum. Again, you’re trained to think that the more expensive stuff would have some kind of tangible advantage over the measlier items, but again the game stresses the point that to you it’s all the same, whether it be an enchanted cupcake promising knowledge or a half-decayed eyeball of some ungodly creature that carries a terrible curse. You are not a hero to whom confusing the two could be fatal, you are just a janitor keeping the spaceport tidy. The graphics of this game also imply this sort of ceci n’est pas idea. The retro pixelated aesthetics take you back to when simply picking up trash would in no way have justified a video game; no matter how crazy pretty its world might have been. 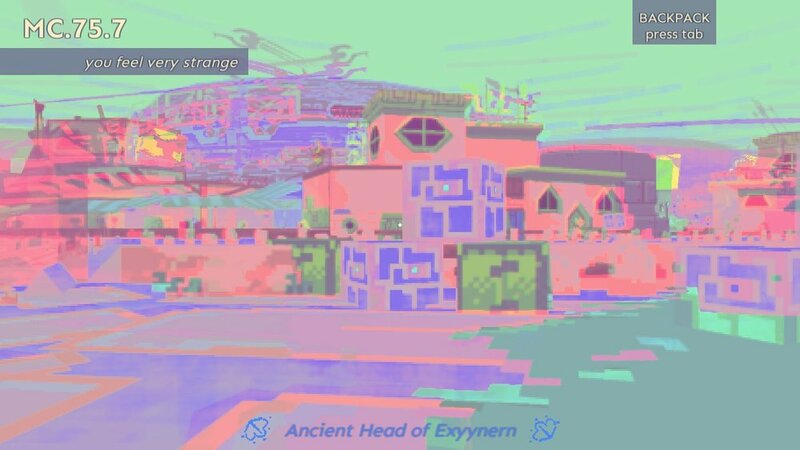 However, the glitchy and trippy filter that appears in front of your whole field of view after ingesting certain narcotics clashes with this retro vibe as it clearly belongs amongst the artistic arsenal of the more recent indie boom. It’s as if one is tempting you into using the same logic you would for games you’d played in the past while the other is hinting at the fact that you should actually approach this as a completely new experience, with a clear and empty mind. 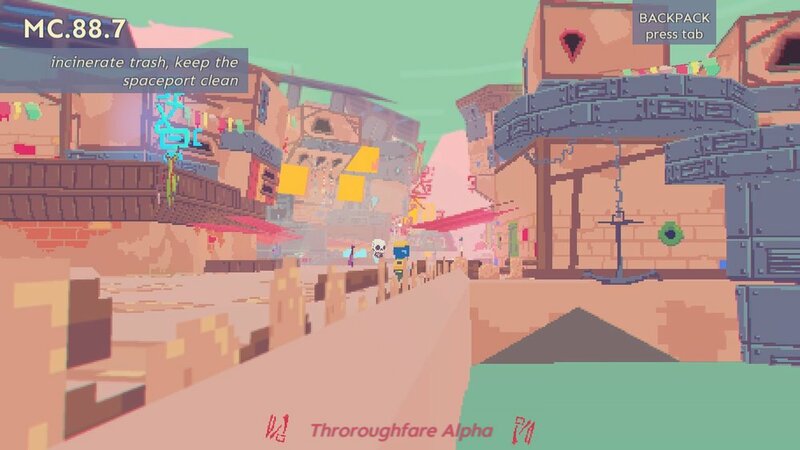 This all might seem to point to the conclusion that Diaries of a Spaceport Janitor is an experimental critique of the state-of-affairs of how we approach video games, and that decoding this message would make the actual gameplay irrelevant, but that is not true at all. Playing it for the first few hours is really fun even with the dull job of your character. The spaceport is well-crafted, both visually and in terms of being easy to navigate (which is high praise given that the game lacks a map). 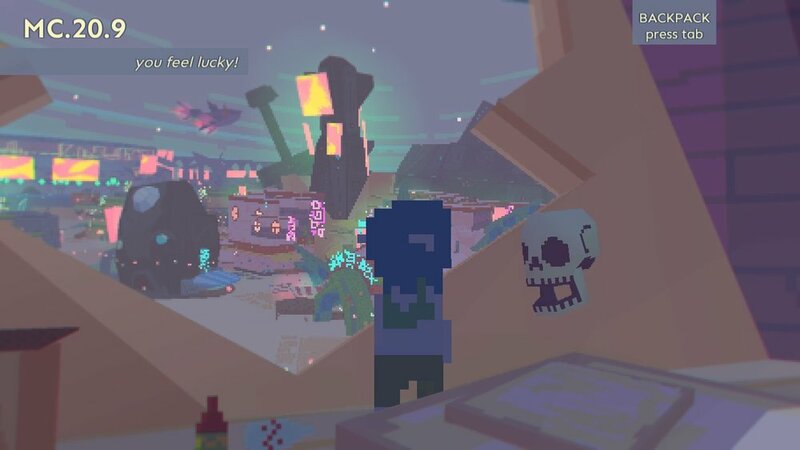 It’s polished and doesn’t contain any glaring bugs, and the hints at how life works in this trippy reality, in which you might one day decide to change your gender from Slimefiend to Emoticon, is completely riveting.